Take part in extreme motorcycle races across the dangerous and challenging tracks. Dirt Bike Extreme is easy to pick up but hard to master. 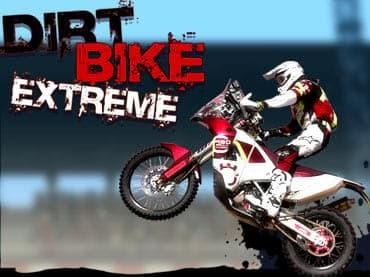 Race, jump and crash your way and other mad rivals through the amazing tracks as you master the skills and the physics of motocross in this high speed racing adventure. Conquer challenging routes on 23 different runs, discover new bikes and become the best of the best! If you have questions about Dirt Bike Extreme game, please contact us using this form.